​Have you ever had a refrain stuck in your memory, swirling around in a continual loop? Yea, me too. 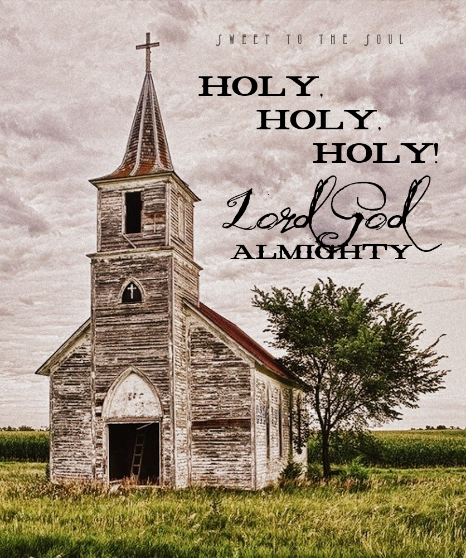 Lately, it’s been the old hymn Holy, Holy, Holy. At least it’s a beautiful worship song that sets the right atmosphere for praise, right? Some days, if I am hearing those words, it really feels like Holey, Holey, Holey am I…then I recall it is not about me. It’s about the Lord God Almighty. Yes, the One who covers you and me with His grace. He redefines us as He restores us to Himself. He removes that extra silent e from holey, transforming you and me so we can come before our Great God to be wholly reverent in His Holy presence. He is not silent. His entire creation sings His beauty and majesty to us. ​Today's blog post is part of our series SundayHymnBook, where I have invited others to visit on Sundays and share about how a particular hymn or worship song has impacted their life.